Columbus Instruments CI-Bus Serial Interface Bus In/Out Serial Communication . New Life Scientific, Inc. 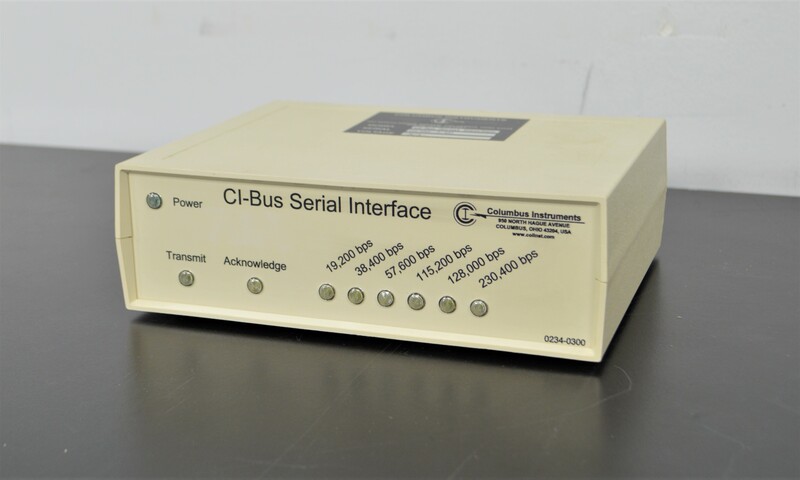 This Columbus Instruments CI-Bus Serial Interface is in good working and cosmetic condition with minor wear and age. This CI-Bus serial interface has a To Device serial port and CI Bus Out/In cable port. It was removed from a working environment.